Samsung is renowned for its high-quality televisions. From entry-level 1080p TVs to premium 4K sets, it offers a plethora of high-performing, durable options. One of its more popular models released in recent years is the KU6300. If you’re in the market for a new TV, the KU6300 is a budget-friendly, high-quality set that you should consider. Originally released in 2016, the KU6300 is Samsung’s line of entry-level 4K TVs that offers a stylish design, a bright screen and support for High Dynamic Range (HDR) content. The LCD TV comes in seven sizes and delivers solid all-around performance for budget shoppers. 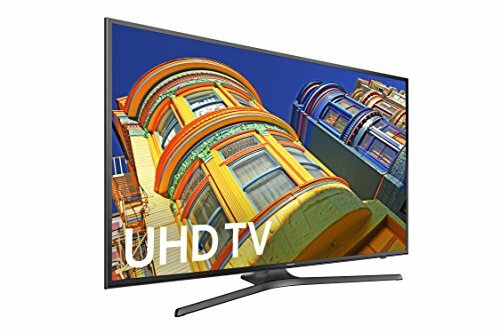 As an entry-level unit, the Samsung KU6300 offers plenty of performance and features for those new to 4K televisions or who are looking for a budget-friendly option. 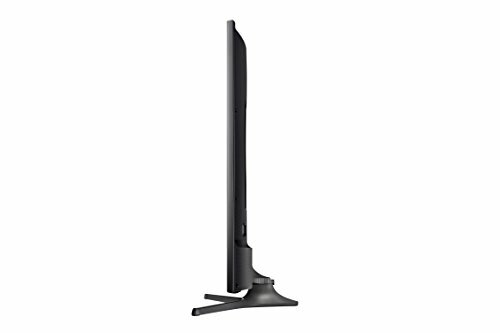 The Samsung KU6300 line comes in seven sizes: 40, 43, 50, 55, 60, 65 and 70 inches. The features and image quality do not vary among these sizes. The KU6300 has a simple and sleek design and comes with a Y-shaped base that, although it leaves a large footprint, keeps the TV securely in place. The borders are 0.63-inches thick and made of reflective plastic. The back of the TV is made of plastic and the input ports are well placed so that the user can easily access them while the TV is mounted. Overall, the TV is only 2.44-inches thick, which makes it thin enough to also hang on your wall if you choose. To the right edge of the screen sits a small area with controls for the power, volume, menu navigation and source selection. The remote control is also very basic. It’s 6.4-inches long, curved, has only a few buttons and has a large circular four-way control pad. The play/pause, home and back buttons sit below the control pad and just above the rockers for volume and channel. The remote works well in most instances, but users will quickly notice that it’s lacking rewind and forward buttons which would come in handy when watching movies. The KU6300 comes with Samsung’s Tizen 2016 smart TV platform which is simple to operate but comes with plenty of features. It doesn’t come with too many preloaded apps, but the popular apps such as Netflix, YouTube, Hulu and Amazon are all available, and you’ll be able to download other apps through the menu. You can also play streaming games using GameFly Streaming and PlayStation Now if you have a Bluetooth gamepad. As with other smart TVs, you should expect to see ads when using the smart features on the KU6300. Unfortunately, you cannot disable these ads from being shown. Another potential downside to the smart features of this TV is that when a computer or other device is plugged in via an HDMI port or wakes up from sleep, the TV automatically switches to that device. This can be problematic if you happen to be watching something else at the time. The KU6300 delivers good picture quality. Whether it’s the ability to upscale standard definition to 4K or its support for HDR content, users rave about the clarity of its pictures. Blu-rays and other high-quality content are presented with exceptional detail. Its high contrast ratio and good black uniformity allow it to offer good contrast and deep blacks even in darker settings. Images are relatively bright in the KU6300, but its peak brightness is only average for both standard and high-definition content. The KU6300 does a good job of handling fast motion in most cases. It offers a low input lag and good response time, so you shouldn’t have any issues with fast-action movies or games. Some of the downsides of this model include the fact that viewing angles are small, meaning it’s not ideal for larger audiences sitting at the edges. Its color range also comes up short when compared to some of its competitors, and it has trouble with reflections, especially in bright environments. The speakers on the TV are decent except when turned all the way up. However, if sound is important to you, whether it’s for watching movies or playing games, then you will probably want to invest in a sound bar. The KU6300 comes with three HDMI inputs, two USB ports, a tuner, a component and composite input, an Ethernet port and a digital optical audio output. The actual input ports are all located on the sides of the TV, so you won’t have to reach behind the unit to connect anything. This is perfect for those who intend to mount it on the wall. It can accept just about any form of input or resolution and display it without any lag. If you’re into gaming, you’ll have an advantage over those you play with because this is a great TV for fast gaming. All you have to do is select Game Mode under Special Viewing Modes, and the settings will change to provide the lowest input lag possible. The price you pay for your KU6300 will depend on the size and retailer. You can expect to pay between $400 - $450 for a 40-inch and $1,600 - $1,700 for a 70-inch unit. The warranty on the KU6300 is 12 months for both parts and labor. You’ll need to contact the manufacturer should you have any issues with your TV during this time. Extended warranties are usually available through the retailers. There are plenty of alternatives to the KU6300 model on the market. Below are a few that we consider to be alternatives whether due to being in the same price range or because of their performance. The 2018 VIZIO D Series is an entry-level 4K TV and one of the latest competitors to the KU6300. Although it lacks the advanced capabilities of higher-end TVs, the D series offers good picture quality with fast response times and low input lag, which is great for gaming and watching fast-moving content. Its design is simple and sleek, and it sits on a wide stand. It has a good contrast ratio which allows it to display deep blacks in dark settings. It gets plenty bright enough in dark rooms, but in well-lit environments it may not get bright enough to provide a great viewing experience. It only comes with three HDMI input slots and one USB slot, so connecting more accessories may be a challenge. As with all VIZIO units with smart TV capabilities it uses the Smartcast interface, which has limited features but comes with Chromecast and gives you control of your TV through your phone. The pre-installed apps cover the basics of streaming options, but there’s no app store to add any more. Expert reviews of the D series indicate that it’s an average set. Customers generally love it as it performs well for the price. 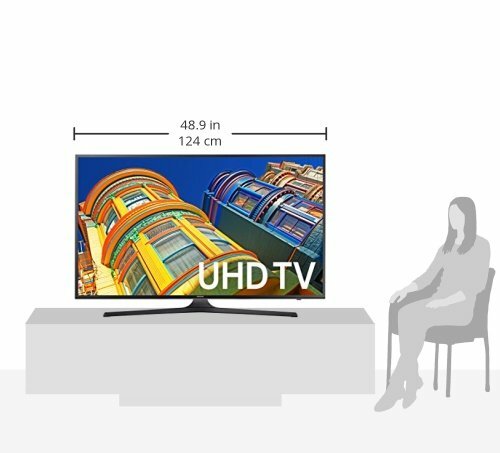 Dimensions (W x H x D with stand): 48.7" x 30.6" x 9.2"
The LG UJ7700 is a 4K UHD TV that you can purchase with 49-, 55-, 60- or 65-inch screens. 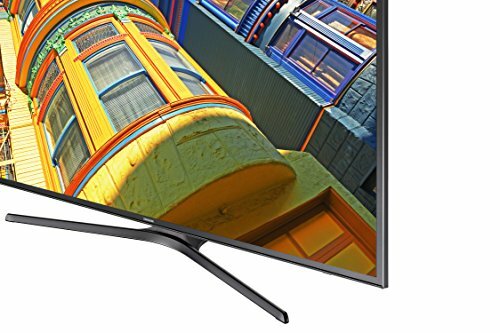 It’s a versatile TV that offers good, clean pictures even when watching fast-motion content such as live sports or when gaming. It has a simple, sleek design and comes with a wide stand. It supports HDR content and delivers picture quality that’s comparable to the KU6300 except in dark settings where its blacks aren’t as crisp. It handles reflections better in bright rooms and does better at wider viewing angles than the KU6300. In terms of connectivity, the UJ7700 comes with four HDMI inputs, two USB ports, a digital optical audio output, a component and composite out, a tuner and an Ethernet port. The sound quality coming from the UJ7700’s speakers is similar to that of KU6300, meaning it’s good but not great. The smart TV runs on LG’s webOS platform which comes with a good number of apps, is pretty easy to navigate and offers smooth performance. When the remote is pointed at the screen, a cursor will follow your movement which makes it easier to select your options. The remote also has a microphone so you can call out voice commands to make selections. Overall, the UJ7700 offers comparable performance to the UH6300 but at a slightly higher price. Customer feedback for the LG UJ7700 is highly positive. 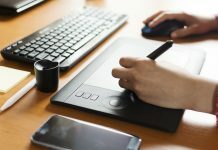 The majority of negative customer feedback isn’t performance related and has to do with the stand not being as sturdy as they would expect for a high-quality TV. The MU7000 is another model from Samsung and it’s a level above the entry-level KU6300. It’s beautifully designed with a thin frame, metallic edges and a textured back. It comes with a similar Y-shaped stand as the KU6300. It offers excellent picture quality, especially in dark settings where its native contrast ratio helps it to deliver deep, uniform blacks. It supports HDR content and can upscale standard definition content to HD. Similar to the KU6300, the picture quality does decrease at wider angles, and watching it in rooms that are too bright may be difficult as it doesn’t do well with reflections. Its input lag is low, and it does well with fast motion, so gamers shouldn’t have any problems. The MU7000 comes with three HDMI slots, two USB ports, an Ethernet port, a tuner, a component and composite slot and digital optical audio output. It offers decent sound quality, but those who want better sound will need to invest in a sound bar or another sound accessory. It also runs on Samsung’s Tizen smart platform which gives you access to features such as screen sharing with compatible devices as well as a number of preloaded streaming apps. Any other apps you need can be downloaded. Just like the KU6300, the remote has a simple design with minimal buttons, but it does allow you get things done hands-free using the microphone. Customers love the MU7000’s performance and pictures for the most part. The primary complaints are related to the fact that the stand takes up much space and seems flimsy and the fact that the picture quality is not very good when not sitting directly in front of the TV. The KU6300 is a two-year-old entry-level TV from Samsung. 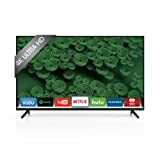 For a 4K TV in that price range, it performs just as expected – good, clear pictures, but average in most instances with some capabilities that are better than expected and others that are below average. Its contrast ratio allows it to do well in dark settings and with blacks, but it struggles with reflections in overly bright rooms. 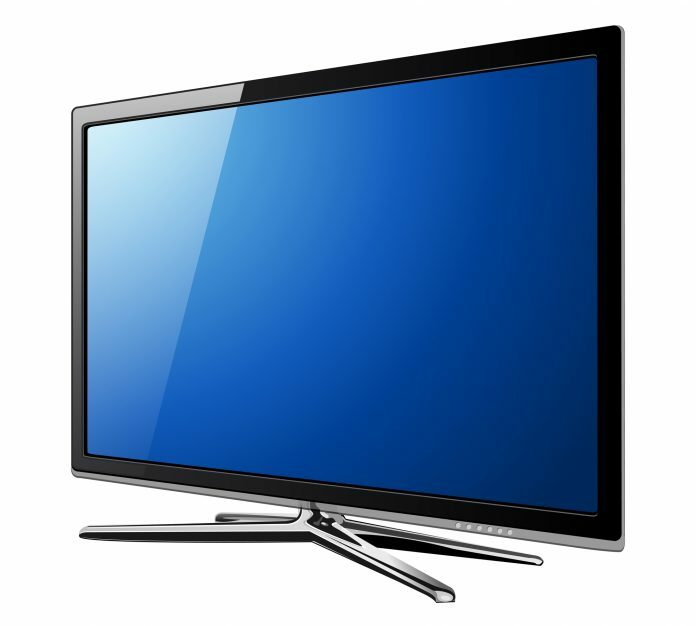 Most customers love this TV, and the primary complaints are from individuals who purchased defective sets. 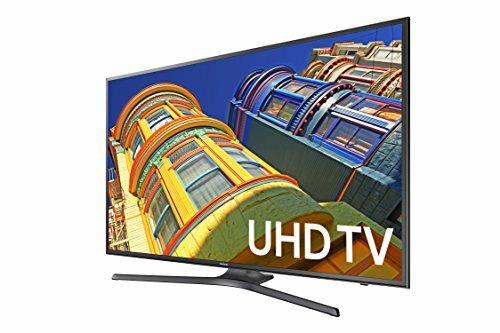 Overall, we recommend the KU6300 as a good TV for those on a budget who are looking to purchase a 4K TV for the first time. 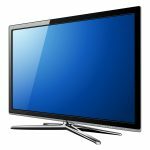 Samsung has been very competitive in terms of innovating their televisions and one of their best television is KU6300. This Product has a nice design and HDR support system that will make your tv experience a bit more exciting. However, this product is not good at wide viewing angles.